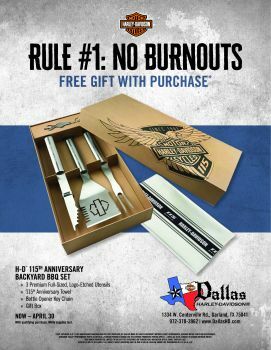 FREE to customers purchasing $300 or more of select Harley-Davidson® merchandise. Now-April 30. With qualifying purchase. While supplies last.